- 5-player queues can now match up against an opposing team composed of a 2-player group and a 3-player group. * Solo queuing will still not match you against a 5-player group. - Tier 3 Towers and all other base buildings lose the benefits of the Backdoor Protection System if a Melee Barracks or Ranged Barracks is destroyed (rather than if a Tier 3 Tower is destroyed). - Stun duration reduced from 2 seconds to 1.2/1.4/1.6/1.8 seconds. - Base Damage bonus reduced from 12/20/28/36% to 12/18/24/30%. - Cooldown reduced from 100/60/20 seconds to 60/40/20 seconds. - Duration reduced from 10 seconds to 6/8/10 seconds. - Stun, Slow, and Debuff resistance increased from 40/60/80% to 60/80/100%. - Magic Damage rescaled from 4/6/8/10% of your Max Health to 5/6/7/8% of your Max Health. - Range reduced from 800 to 600. - Percentage of Strength dealt as damage to the enemy & taken by Deadwood increased from 35 to 40%. - Cooldown reduced from 120/100/80 seconds to 110/90/70 seconds. - Now silences the target for 2 seconds upon stealing the target's ability. - The stolen ability is now permanent until Kinesis chooses to forget the stolen ability. * Forgetting the ability can be done by activating Ability 3 (default hotkey "E"). * Forgetting an ability now puts Thoughtsteal on cooldown. - Magic Damage per unit lifted increased from 60 to 80. - Magic Damage increased from 150/250/350 to 200/300/400. - No longer grants opponents Damage Reduction. - Health returned changed from 10/20/30/40 + 3/6/9/12% to 10/20/30/40 + 5% of Attack Damage. - Attack Speed per charge reduced from 1/1.5/2/2.5 to 0.5/1/1.5/2. - Base Strength increased from 18 to 20. - Now grants 5/7.5/10 Mana Regeneration. - Armor lowered from 2.9 to 2.2. - Cooldown increased from 25/20/15/10 to 30/25/20/15 seconds. - Magic Damage reduced from 100/200/300 to 75/175/275. - If the target gets pushed into Unstable Shard, the target will be Stunned for 2/2.5/3/3.5 seconds. - Critical Strike damage multiplier reduced from 2.0x to 1.75x. - Strength gain per level increased from 2.2 to 2.5. - Damage effect type changed from Superior Mixed to Magic. - Damage reduced from 170/230/290/350 to 140/200/260/320. - Tapering 60% Movement Speed Slow removed. - Now applies a 10/20/30/40% Movement Speed Slow to the target for 2 seconds each time they are attacked while the Cold Shoulder debuff is on them. - Mana Cost increased from 40 to 60. - The P-800s were developed by the Electrician in the early days of the Second Corruption, intended to be the next evolution of his dreaded Shocktroopers. The goal was to design a Hellbourne soldier that could infiltrate the Legion ranks, bide its time, and wreak absolute havoc when prime targets were presented. But while the living tissue over a cybernetic skeleton coexisted well, the daemonic possession required to power the machines often resulted in erratic behavior, such as consuming vast amounts of human flesh despite having no digestive system. This usually tipped the humans off that something was awry. The Electrician eventually gave up on using sentient corruption as a life force and resorted to rudimentary hardware and processing units to power the P-800s. This worked amazingly well -- until the Engineers got their hands on one and reprogrammed it to protect Jeraziah and hunt and kill any daemon it detects. - Centuries ago, the brutal General Po was known in every valley of the Sang-La Mountains for his ruthless treatment of anyone who stood in the way of his mission. It didn't matter if they were soldiers, royalty, monks, or peasants -- if they tried to stop him from conquering Sang-La's sacred sites and claiming them as shrines to himself, he skewered them on his butcher's blade and left them on display as a warning to others. Unfortunately for the General, this mistreatment of the dead had dire consequences. The unburied corpses he left in his wake were extremely displeased that they had not been given proper funerals, and their agitation attracted the corruption seeping into Newerth from All Hells. Infected by the corruption, the dead became reanimated as jiangshi -- corpses who subsist off the qi, or life force, of the living, and they tracked General Po, their numbers growing as he continued his campaign of slaughter. Only when he had converted one hundred sacred area to shrines -- and killed hundreds of innocents in the process -- did General Po rest and call for a massive ceremony to celebrate his obvious greatness. When the torches were lit and the banners unfurled, the General found that his adoring crowd was entirely jiangshi, come for vengeance. They surrounded the tyrant and slowly drained his life force, dragging the agony out as long as they could, then left his corpse intact to ensure it would join them and wander eternally, undead and insatiable. - The narrow straights of the Fenwater are treacherous enough with deadly rip currents, hidden crags that can pierce even the sturdiest hull, and the occasional iceberg flowing down from the Iron Mountains. But these are nothing compared to Scylla, the hideous monster who dwells along the dark shores, waiting for ships to wander close enough to fall victim to her tentacles, sea serpents, or the crushing jaws of her ferocious wolf heads. While the sailors she devours alive are indeed mourned, the true tragedy may be that Scylla was not always a monster. She was once a beautiful young woman feeling the thrill of new love, an infatuation returned by the god Glaucus. But Circe the Deceiver wanted Glaucus for herself, and as Scylla bathed for her next rendezvous with her lover, Circe tainted the water with a potion that transformed the innocent woman into the creature who haunts the Fenwater, forever snatching the life out of her victims and happiness from their loved ones. - The Sisters of the Cathedral of Hope devoted their entire lives to being caretakers of the massive church and its grounds, which included the Fields of Light, a glorious and sacrosanct cemetery for the citizens of Hope's Keep. When the Second Corruption exploded from the nearby Scar, the Sisters did not panic. They had long ago made peace with Sol, their true god, and being delivered to him did not frighten them, even though it would be preceded by blistering agony and untold horrors at the hands of the Hellbourne. Lord Commander Grimm personally led the assault upon the hallowed ground, for despite his corrupted madness, he retained knowledge of the priceless -- and powerful -- relics buried with some of the holy warriors in the Fields of Light. The Sisters tried to protect the sacred tombs with their bodies, but the rampaging daemons simply tore them apart and tossed them aside like tattered leaves. The massacre continued until one Sister remained, standing bravely before the crypt of a Martyr of the Sacred Order. She prayed for strength, for the Hellbourne to find mercy in their dark hearts, for a miracle. Sol did not respond. But the Sin Slayer did. The Sister did not know it, but the dead Martyr she protected had carried the legendary weapon into countless holy battles and had been buried with it, and now it whispered to her from within the granite walls: Sister. The only true path to peace is through overwhelming force. Carry me to the enemy and see them shatter. She watched the daemons draw closer, the blood from her Sisters still glistening on their teeth and claws. What would Sol want? Obedience to her vows, or vengeance upon his enemies? Her fingers twitched toward the tomb entrance, and that was all the Sin Slayer needed. It flew to her hand, bursting through the stone walls and unleashing instant destruction upon the Hellbourne. Since that gruesome day, the Sister and her weapon have become inseparable as they cut a holy swath through the corrupted ranks. 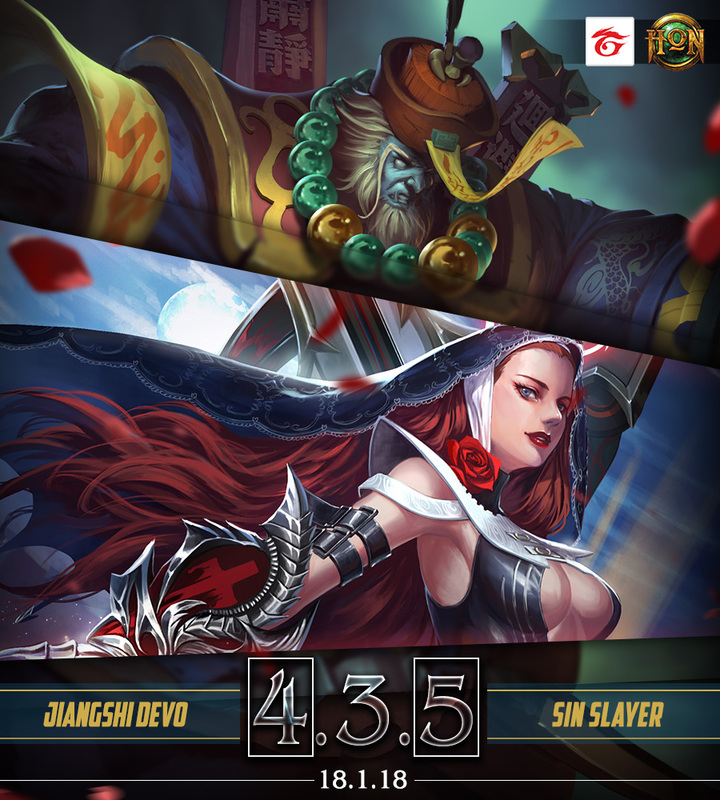 They are both known by the single name -- Sin Slayer -- a name that sends a chill through even Apex's simmering blood. - The Derangers are the assassin scouts of Apex's army, slipping through enemy lines as easily as their corrupted blades pierce mortal flesh. It takes incredible discipline to leave clueless survivors in their wake as they move deep into Legion territory, but the momentary satisfaction of a mere sentry kill means nothing compared to the glory of assassinating a high-ranking military officer, a Martyr of the Sacred Order, even King Jeraziah himself. And while the thought of that triumph does indeed provide motivation, the wrath of Apex for a mission gone wrong is what truly keeps these silent killing machines from running amok and sending their body counts into the hundreds. For this, the Legion is grateful -- but once a Deranger eliminates his target and accomplishes his mission, every living soul is fair game. - The portal to the Great Rift is no longer expanding, but the forbidden sorcery required to close it continues to elude Valreia the Riftwalker and the Elder Riftwalker she has recruited to help her. Even though the Hellbourne have stationed Malphas near the mouth of the portal to stop any creatures trying to pass through, the Elder Riftspawn are too powerful for even a dozen of the sentry daemons. These monstrosities cross into Newerth with sickening ease, and it is up to the true heroes of our realm to send them back or leave their carcasses here to rot, for even the carrion eaters cant stomach them. The Elder Rift Tempest carries within it the chaotic weather and environmental conditions of the Great Rift, and the highly flammable gasses, plummeting meteors and unpredictable voids do a quick job of turning any Newerth battlefield into a terrifying mirror of the nightmarish Great Rift. Following in the wake of the Elder Rift Cthulhuphant, the Elder Rift Tempest seeks to turn the path of destruction into a fertile landscape for the seeds of chaos. - Fixed a few more lingering pathing bug locations. - Trail lifetime tooltips for Enhanced Shrubbery have been updated to display the correct value (6 seconds). * Was displaying the value as 4 seconds before, which was incorrect. - Plushie Cthulu now plays the correct sounds when using Trample. - Dionysus Mead Viking's colour has been slightly adjusted to more clearly portray other visual effects (e.g. Shrunken Head's visual effects). - Skeletons can no longer be targeted by Post Haste. - Lackey no longer despawns when illusions of Klanx are created. * As a result, Lackey's projectile spawns at the correct location when Klanx attacks. - Call of the Valkyrie's second instance of damage will now be properly dealt if 2 instances of the spell occur within a short timeframe. * This primarily accommodates the interactions between Staff of the Master's effect on Javelin of Light and Restoration Stone.